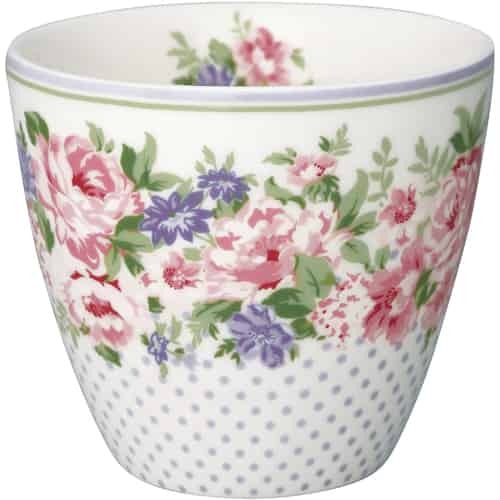 GreenGate Latte Cups are very popular. They are easy to hold, of good size and sport colorful designs. You can easily combine different series with each other and with the vast selection of colors and patterns, you are sure to find some that you like. 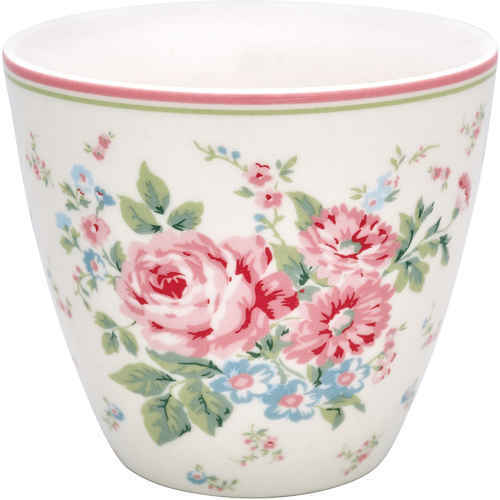 GreenGate’s Latte Cups have become much sought after collector’s items. Twice a year, GreenGate fans are excitedly looking forward to the newest GreenGate Collection and can hardly wait to find out which new patterns and series have joined the GreenGate family. Not only your morning cappuccino tastes wonderfully from GreenGate’s Latte Cups, but you can also use them as water glasses, or even as a penholder on your writing desk. You can also just arrange your whole collection next to each other on the kitchen shelf and just find joy in looking at these beautiful cups every day.